The SC appointed a four-member committee of administrators led by former CAG Vinod Rai to run the apex cricket body. A logo of BCCI is seen in this file photo. NEW DELHI: Brushing aside all resistance, the Supreme Court today appointed a four-member committee of administrators headed by former Comptroller and Auditor General of India Vinod Rai to run the affairs of the BCCI and implement court-approved recommendations of the Justice R M Lodha panel on reforms in the cash-rich cricket body. Other three members of the committee of administrators are famous cricket historian Ramachandra Guha, Vikram Limaye, Managing Director of Infrastructure Development Fiance Company (IDFC) and former Indian women cricket captain Diana Edulji, who would interact with Rahul Johri, CEO of BCCI, for supervision and functioning of the cricket Board. A bench headed by Justice Dipak Misra also paved the way for the Indian Cricket Board's representation in the upcoming crucial ICC meeting starting from February 2 by appointing cricket administrators Amitabh Chaudhary and Anirudh Chaudhary of BCCI along with Limaye for the purpose. While naming the four members of the committee of administrators (COA), the bench, which also comprised Justices A M Khanwilkar and D Y Chandrachud, rejected the suggestion of Attorney General Mukul Rohatgi to appoint Secretary of Union Sports Ministry as one of the administrators, saying its July 18, 2016, judgement had specifically debarred ministers and government servants from holding any office in the BCCI. The bench also made it clear that the BCCI CEO would report to this AOA and, with the assistance of the counsel of the Board, apprise the administrators about the implementation of the Lodha panel recommendations accepted by the apex court. 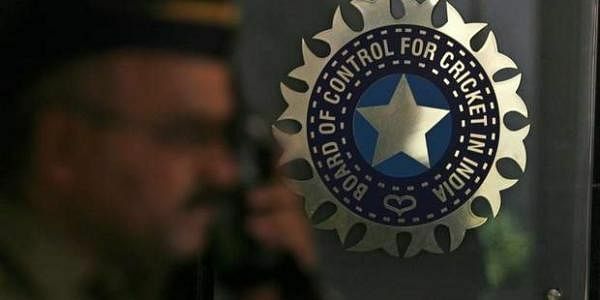 The COA will place before the apex court within four weeks from today the report about the recommendations for reforms in the cricket body complied with by BCCI, it said. The list of names, from which the names for the COA were shortlisted, were placed in sealed covers by senior advocates and amicus curiae, Anil Divan and Gopal Subramaniam, and Kapil Sibal, who represented some state cricket associations including Himachal Pradesh. Senior advocate Arvind Datar, representing BCCI, had given the list names for selecting a representative for the ICC meeting being held between February 2 to 4. At the outset, the Attorney General and senior advocate Kapil Sibal, representing some state associations, pointed to alleged inherent infirmities in the July 18, 2016 judgement of which the apex court had accepted major recommendations of the Lodha panel, including a bar on ministers and civil servants and those above 70 years from becoming its members. Rohatgi raised the issue of Railways, armed forces and Association of Universities saying their voting rights have been taken away by the judgement as their BCCI membership had been down-graded to associate from the permanent one, leading to change in the electoral college. States like Mizoram, Arunachal Pradesh and Nagaland, which hardly play any cricket, have become full members and this has changed the entire balance, he said, adding that certain aspects needed a re-look. Sibal concurred with the submissions of the top law officer and said the main judgement had said that the state associations would not be touched. Some of the state associations are governed by the Trust Act, some are ruled by the Companies Act and some by the Societies law and hence, their affairs cannot be run uniformly, he said adding "how can administrators take over state associations." Senior advocate Gopal Subramaniam, who is assisting the court as an amicus curiae, alleged that all these objections had been raised and rejected by the court and the only issue remaining was the implementation of the judgement. The apex court had considered the road blocks, being created in implementation of its judgement and had decided to removed Anurag Thakur and Ajay Shirke as President and Secretary of BCCI, he said. BCCI and state associations were required to file two sets of undertakings, one before the court and another for the Lodha panel, indicating their willingness to abide by the judgement, the amicus curiae said. Sibal opposed the submissions saying BCCI had said it would persuade state associations to adopt the Lodha panel's recommendations as the state bodies are governed by statutes. "The administrators cannot take over the state associations for various reasons. There are impediments under the law...By one stroke, over 300 persons have been disqualified," he said, adding that there was a need to have a fresh look at these issues. Another senior advocate Arvind Datar, appearing for BCCI, said that all major recommendations of the Lodha panel have been accepted and are being implemented by the cricket body. The bench, however, made clear that it would presently deal with the aspect of appointing committee of administrators for the BCCI and asked the counsel for the Lodha panel to provide the COA the list of recommendations to be implemented.